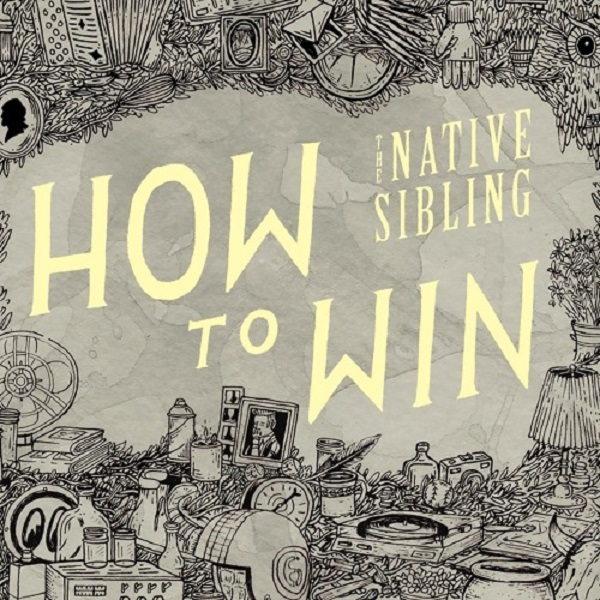 “How To Win” is a charmingly quaint song by the brother and sister folk duo The Native Sibling. It’s a song that’s charged with a very contagious energy, streaming from its straight and repetitive, but catchy rhythm that seamlessly carries the listener from the beginning to the end of the song. What makes “How To Win” really stick is the melancholic vocals which soar against the contrasting upbeat rhythm – an odd, but very masterfully carried out combination. The brother joins just at the right times, and the two singers evoke somewhat of a musical dialogue, a storyline even, which adds another nuance to the song, commanding the listener’s attention throughout. There’s some simplistic, but very melodic piano as well which gives the song extra flavor – a nice poignancy which accentuates perfectly the overall feel. The melancholic verses flow beautifully into a very gusty chorus which feels like the singer is breaking free from her sadness, with her gentle, but powerful voice soaring like a bird that has flown out of its cage. It’s what makes “How To Win” really stick, as otherwise this gloomy vibe would have lost its charm. It’s like a special spice which gives a meal the aftertaste that makes you want more. “How To Win” is imbued with a lot of nuanced emotions which seamlessly flow from one to the other in sweet harmony. It sounds simple and unassuming, yet it alludes to The Native Sibling’s musical chemistry, maturity, and straight-up talent. What’d you think about the song? Let me know in the comments below and be sure to leave your own ratings and reactions. "How To Win" is a charmingly quaint song by the brother and sister folk duo The Native Sibling that conjures up a bird in a cage that eventually breaks free.